How I can find a hidden prior art? Doesn’t this question bug everyone of us when we conduct an invalidation search? While some of us try new strategies to excavate one, other explore databases that have not yet been explored. To sum it up, we all rely on text to find a prior art. Isn’t it? Have you ever tried finding a prior art in images? No worries if you haven’t yet. You can start finding now as today in this post, we will be sharing how we find hidden prior arts in images while conducting an invalidation search. We all know that a picture is worth a thousand words. It is capable enough to tell a story, instigate feelings, emotions, and in some cases even serves as proof for the developments that took place. A person shall be entitled to a patent unless the claimed invention was patented, described in a printed publication, or in public use, on sale, or otherwise available to the public before the effective filing date of the claimed invention. 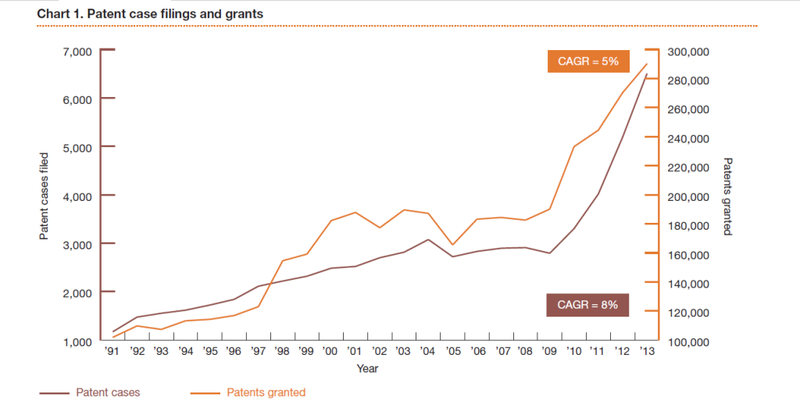 In the past few years, there has been an exponential increase in the number of infringement cases as compared to the patent applications granted in the united states alone. With an increase in such cases, there is also an increase in requirement to perform invalidation searches to kill such patents. We have identified prior art in most unusual sources; for example, in books, manuals, old data books, catalogs and even in non-digitized images found in brochures and magazines. And today we are sharing few such examples. You can take an idea from them and include them in your next prior art search. 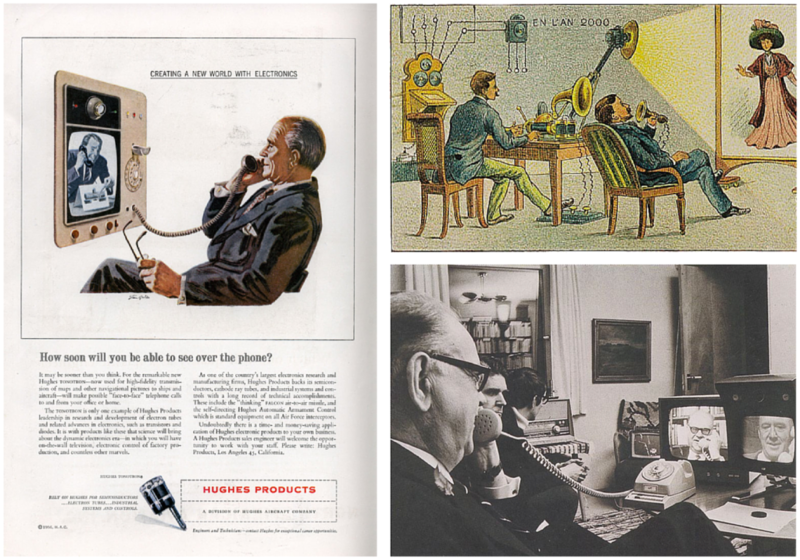 For example, if you are looking for a prior art for patents related to technologies like video conferencing or virtual reality, these images of a newspaper articles dating back to 1950s, a 1910 pictorial illustration of how technologies would work in 2000 AD, or Ericsson vision on how a videophone possibly would work in the future, would be very relevant in building a case. In a few cases, the images are detailed enough that they are enough to serve as valid prior art as they convey the methodology of how video communication works and the predecessors of the existing video communication technology. Let’s dive into a totally different aspect of shopping. The present generation is more interested in shopping online as compared to shopping in a retail store. 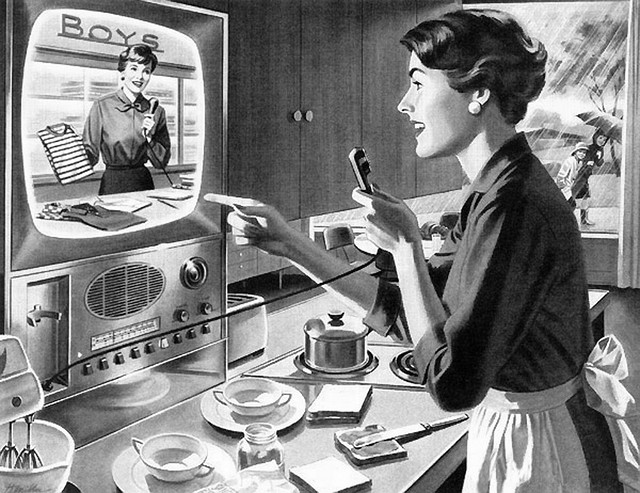 However, Teleshopping, which is also regarded as the father of modern online shopping, has roots traced back to the late 1960s. The below image explains the concept of online shopping. It explains the concept in such a lucid manner that any person skilled in the art can decipher how he can purchase products by looking at a screen via a communication medium. Drawings and pictures can anticipate claims if they clearly show the structure which is claimed. However, the picture must show all the claimed structural features and how they are put together. Hence, if an image contests the validity of a patent, it’s important that the image in question illustrates all of the claimed features in such a manner that a person skilled in the art could identify the similarity between the two. For instance, the following images when put together uncovers the technologies which had been put together with additional features to make the present day Smartphone. Features such as digital camera, music player, calling facilities, touch screen, messenger when were put together, formed the very basis of a Smartphone. This further highlights the importance of including non-patent literature (NPL) found during a prior art search. By citing such NPLs in a patent application can negate the chances of unnecessary litigation. With proper citations and making prior art public in the patent office could help make your case stronger. Moreover, if you have such information while you receive a notice, it also removes the possibility of getting into litigation. It’s always better to be safe than sorry. 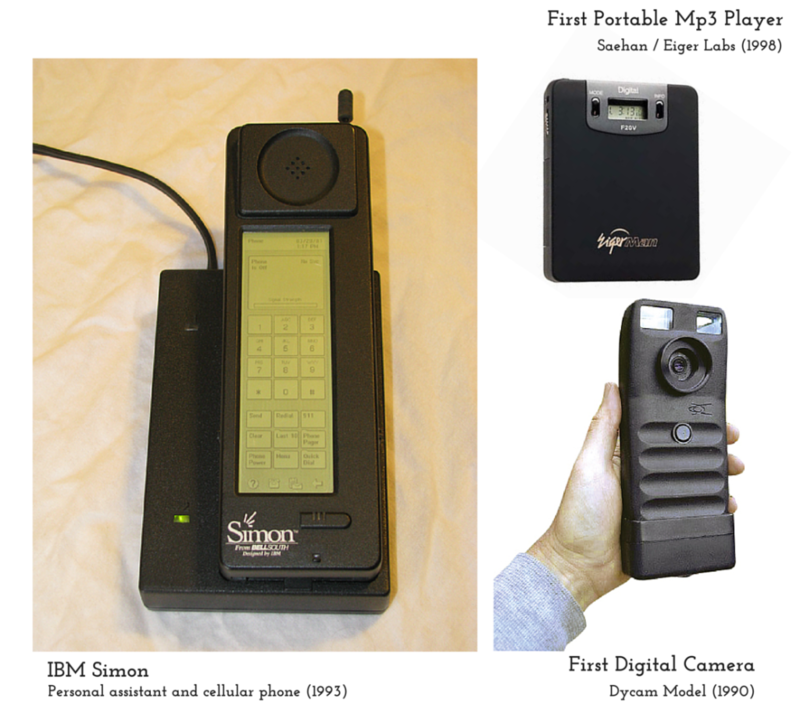 Conclusion: You can find most of the prior art for the present day technologies in images and pictures. While conducting a validity or invalidity search, if finding patent related literature is difficult, it is always best for you to look at images. Images aren’t only capable of successfully illustrating an idea, but also capable of providing information, which could hardly be found in text. A picture is worth thousand words. True indeed. GreyB is an Intellectual Property research organization. Our work involves research and analysis on the cutting edge technologies in areas as diverse as computer science, networking, web technologies, telecommunications, semiconductors, business methods, nanotechnology and biotechnology. We also perform Reverse Engineering of products to identify the use of client's technology in the products. We believe in sharing the knowledge we discover. Read our thoughts on our blog http://www.greyb.com/our-thoughts. Previous post: Is intellectual Property really that important for your business?